Located in scenic Lake Cowichan, this riverfront property is welcoming and beautifully maintained. The accommodation is perfect for those seeking privacy during their vacation. The proprietor is friendly and dedicated to ensuring a comfortable and memorable stay. The accommodation is a private, self contained, two level loft suite that is set apart from the main house. Majestic trees and the Cowichan River flowing by make it feel a world apart from anything else. Inside the suite there is a spacious loft containing two queen beds and one twin bed, all with luxurious linens and down duvets. French doors open onto a private balcony. Enjoy a cup of coffee while viewing the peaceful grounds and the Cowichan River. On the lower level you will find all the comfort and conveniences to make your stay relaxing. The kitchenette is equipped with a countertop convection oven, microwave, electric frying pan, coffee maker, toaster, rice cooker, BBQ and all of the dishes and utensils you will need to make yourself at home. There is also a dishwasher and full size refrigerator. The comfortable, cozy, living room with television and a beautifully appointed bathroom with old fashioned claw foot tub are also located on the lower level. 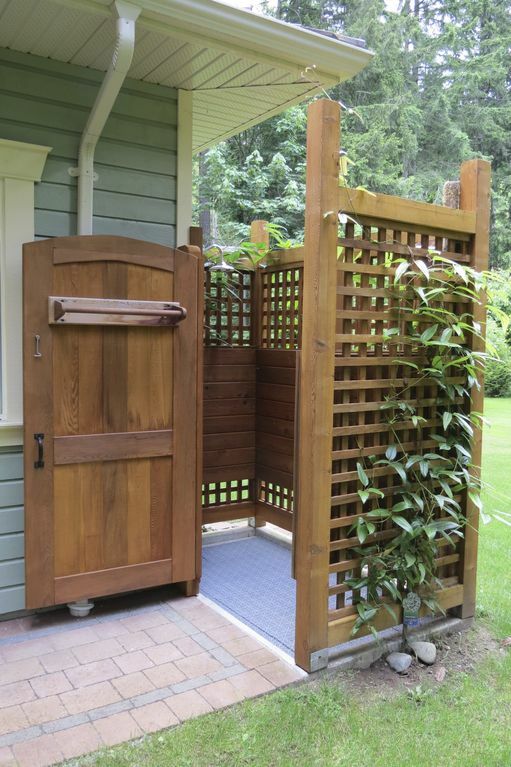 Enjoy a luxurious bath or opt for an exhilarating shower in the outdoor cedar shower under the towering evergreens. Enjoy the quiet and the beauty of nature. You will be charmed by the peacefulness of this property and the cozy, comfort of your accommodations. This place absolutely beautiful and very relaxing. We love staying here it was beautiful inside and out. Brenda was very accommodating. We wouldrecommend this place. Thank you Brenda, for an amazing weekend of cycling and lazing by the river!! We (5 ladies) booked this property after miscommunication and run-around from another VRBO and were so happy the first place fell through as Brenda's property was more than perfect for us. The riverfront location, proximity to bike trails, clean/comfortable/fully stocked accommodations (we loved the outdoor shower!! ), and Brenda's hospitality were exceptional! We will be recommending this property to all our friends and look forward to our next stay at Brenda's. The property was amazing, with the river right out in front of us. It is close to the local golf courses, and Brenda was an exceptional host. Would definitely book this property again! I intended to stay at this riverfront property for two nights and ended up staying for several days. The proprietor was so friendly and helpful and I loved being greeted by her wonderful dogs as I came and went. The suite is private and separate from the main house. It was spotlessly clean, tidy, and organized. The property is wonderful. The towering trees and flowing river made me feel that I was away from everything. I loved being able to get up each morning and shower in the outdoor cedar shower before having a steaming mug of coffee and warm breakfast. The bed was cozy and warm and the only nighttime sounds were of the river and rustling trees. I had a delightful time and am looking forward to being able to stay at this property again. Thank you Brenda for your warmth and hospitality! Standard rates from the third week of September until the third week of June. $200 damage deposit will be charged. Rates are based on double occupancy, an additional fee of $20 per person per night will be charged. Please note that if you would like to have VISTORS while you are staying as a guest, MANAGEMENT MUST BE NOTIFIED in ADVANCE and additional charges may apply.